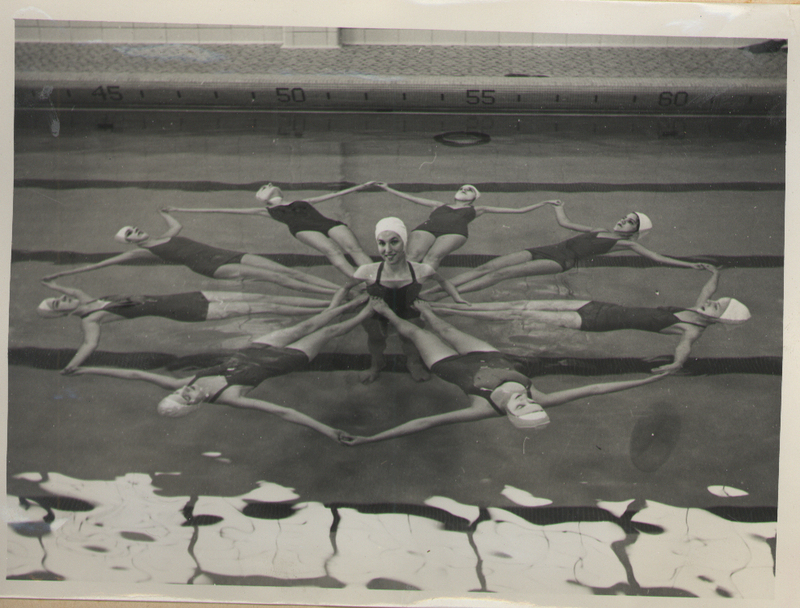 Over one hundred historic images of Queens University of Charlotte are now available online. 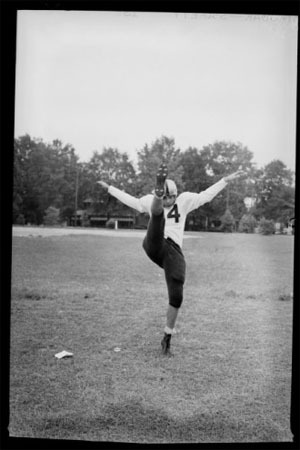 The photographs, circa 1950s, depict both formal and informal scenes of student life at the school, including dances, sports, stunts, classes, and dorm life. Thirty-three yearbooks and ninety-one other campus publications, including catalogs, student handbooks, and president’s reports from the College of the Albemarle are now available online at DigitalNC. The College of the Albemarle, located in Elizabeth City, N.C., celebrated its 50th anniversary in 2010. 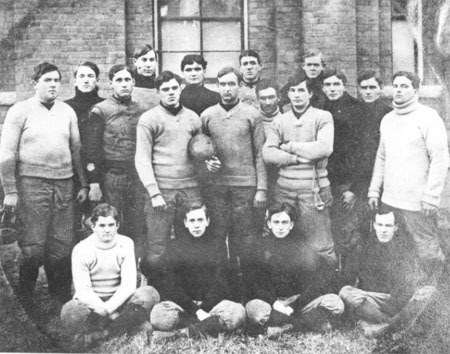 This photo shows the Davidson College football team in 1906, just 18 years after the first collegiate football game was played in North Carolina. 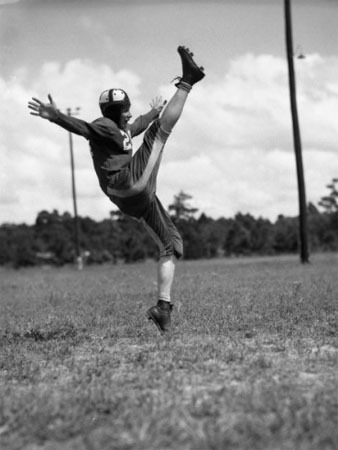 The action shot of a punter seems to be a popular subject for sports photographers. The photo at top is from the Braswell Memorial Library (Rocky Mount, N.C.); the one at bottom is from the Tufts Archives (Pinehurst, N.C.). 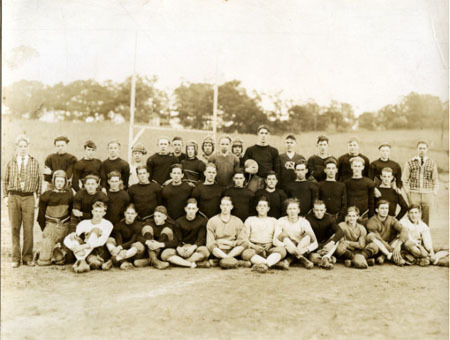 There are several good photos of high school football players and teams on DigitalNC. 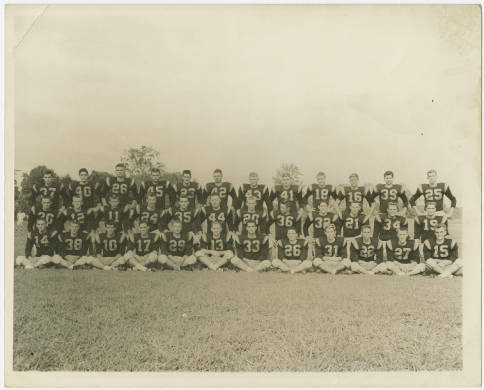 The top one here shows a player from Lansing High School in Ashe County; the one in the middle of the team from Davie County High School in 1961, and the photo at bottom shows the team from Waynesville Township High School in 1927. These last three images above are shared by Ashe County Public Library (top), Davie County Public Library (middle), and Haywood County Public Library (bottom). I’m excited to announce that we will be adding lots of new content to the North Carolina Newspapers project in the coming year. Over 100 reels of microfilm will be digitized and published online, providing an unprecedented level of access to some our state’s most important primary sources. After receiving nominations from libraries across North Carolina, we selected a range of titles that represent the broad geographic and cultural diversity of our state, and span more than a century of North Carolina history. Visit the page Newspapers Selected for Digitization, 2011-2012 for a full list of titles. The first papers will appear online later this fall, with the majority coming throughout 2012. Stay tuned to this blog for updates and more information. The Fort Bragg Cultural Resources Management Program recently contributed a wonderful panoramic photograph of the Long Street Presbyterian Church congregation from the 1920s. The church was built in the nineteenth century but became inactive in the 1920s when the land on which it was located was acquired by Fort Bragg. The church still stands today, and is on the National Register of Historic Places. Other historic materials contributed by the Fort Bragg Cultural Resources Management Program to DigitalNC include two account books and a public road order. 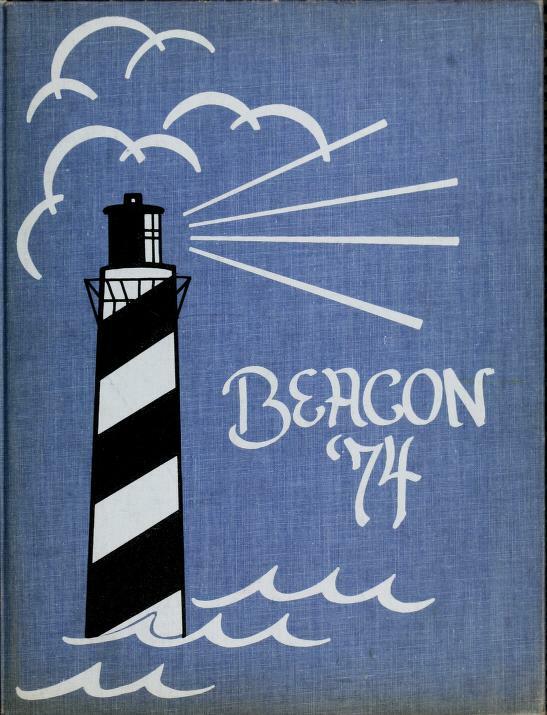 Student yearbooks from North Carolina Wesleyan College are now available on DigitalNC. Forty-three volumes of The Dissenter, from 1962 to 2006, are now accessible through the North Carolina College and University Yearbooks collection. Photographs from the Rockingham Community College, recently added to DigitalNC, tell the story of a North Carolina town that is no more. At the turn of the twentieth century, the mill village of Avalon in Rockingham County was home to more than 450 people. More than half of the population worked at Avalon Mills, which was the community center for the town, providing housing for residents social events. Images in the collection include a photograph of the Avalon baseball team, as well as the first picnic at the Avalon picnic ground. 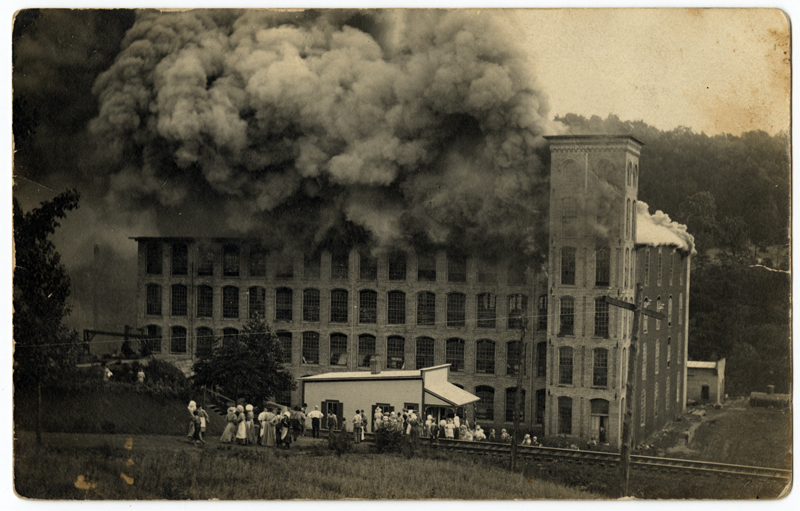 In June of 1911 a massive fire swept through the mill, destroying it completely. Although there was some hope that the mill might be rebuilt, the village was eventually abandoned. Many of the residents moved to Mayodan, a nearby mill town. Interestingly, they moved not only themselves but their houses as well, by hitching them to horses. More information on the town of Avalon is available on the Avalon: documenting the rise and fall of a cotton mill village website. 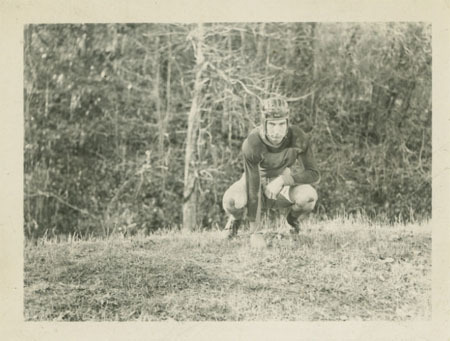 Student yearbooks from Queens University of Charlotte are now available on DigitalNC. 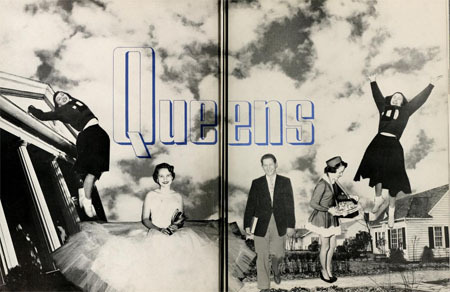 The yearbooks span 70 years of Queens history, from 1937 to 2007. First lady Eleanor Roosevelt visited Greensboro in March 1945 to speak at the Nineteenth Annual Homemaking Institute held at Bennett College. The visit is documented in a scrapbook compiled at Bennett, which has been recently digitized and published on DigitalNC. Mrs. Roosevelt spent her time in Greensboro addressing the Institute as well as Bennett College students and Greensboro area schoolchildren. Her speeches addressed the Institute’s theme of “The Veteran Returns to His Family,” educating citizens on their peacetime responsibilities to their veterans. Mrs. Roosevelt stressed the importance of all citizens becoming familiar with the GI Bill of Rights and assisting their veterans in assimilating into civilian life. 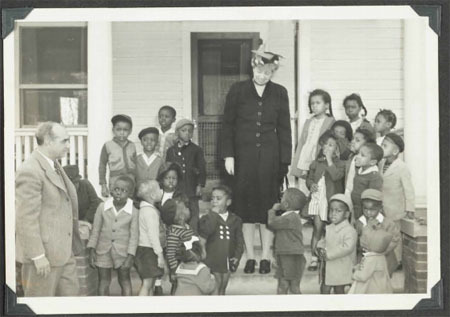 Eleanor Roosevelt with local schoolchildren. 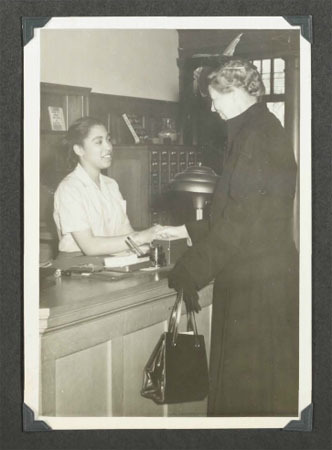 Eleanor Roosevelt at the Bennett College library.